Hi, Chef Dave Caron here, and what I want to tell you is how and why I got into the business of manufacturing BBQ grill mats. If you’re in the market for BBQ grill mats, this is information you’re definitely going to want. And let me warn you, I’m a born and raised Montana boy and we’re totally no BS in these parts! You can bet on that. 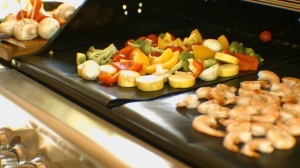 The first mats I ever saw were advertised on TV in one of those late night infomercials, the As-Seen-On-TV bbq grill mat. I was up in the middle of the night because my grandson Isaac, who was two at the time, had a nasty ear infection and wouldn’t sleep unless I was holding him. So I was watching the only thing that was on TV – an infomercial about Grill Mats. When I saw that, I immediately thought of what a great camping tool that would be. I could take my portable grill, and the boys and I could head up to Glacier Park. We could have breakfast in style right on the grill, using the bbq grill mats to cook eggs, hash browns, bacon and pancakes – all that great breakfast food you never could cook on a barbecue grill before. So that’s exactly what we did…and I was hooked. But I was far from satisfied with the features of the grill mats that were available, and I tried them all! It wasn’t long before I decided I wanted to design my own bbq grill mats. 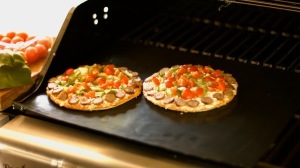 It seemed like it was the only way that I would ever get one that I thought was done right: grill mats large enough, durable enough, and slick enough to be equally usable in a campground, a backyard and a professional kitchen. So that’s what I created. It took a while, and it turned out to be a quite a bit more costly to manufacture than I expected, but it was worth it. I’m very pleased with the results. They’re available for sale on Amazon right now. But before you head over there to buy them, I want to tell you why my grill mats are quite simply the best there are. The first thing I noticed when I started experimenting with a variety of bbq grill mats was the significant difference in one to the next in surface texture. Some were very smooth, and slick. while others had a noticeable texture to the surface – that and everything in between. I found that I much preferred the smoother surface for several reasons. 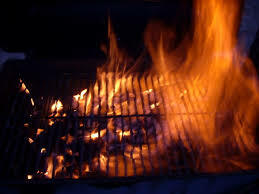 It had more nonstick quality to it, or as the scientists say “a lower coefficient of friction.” Consequently it was easier to quickly manage grilling foods, and it was also significantly easier to clean. The bbq grill mats with a more textured surface seemed to grip the food and trap small particles on the surface of the mat. I wanted to see how far I could go with that. How slick can you make grill mats? Is slicker always better? Is there a point when it makes them harder to use? I set out to answer these questions and found that there was a sweet spot. You need a tiny bit of surface texture so the food doesn’t just wander off the mat on its own – especially sauces and eggs. 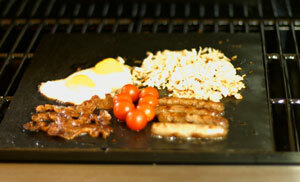 If you compare a Chef Caron Mat to a Miracle Grill Mat you will see a significant difference in surface texture. The Miracle Mat will will have a very visible and pronounced fiberglass texture showing through the PTFE material. On my mats, the fiberglass cloth below the PTFE material is almost invisible. I was also quite frustrated with the size of all of the grill mats I tried out, most notably the Miracle Grill Mat. They were all very close to the same size: 13 x 15 inches, give or take a couple centimeters. I beefed up the size on mine and it made a signifiant difference. It was surprising how much easier and more convenient the grill mats became with a couple extra inches of length added on. 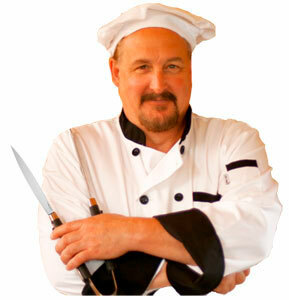 The newly designed Chef Caron grill mats measure in at 13 x 17 inches. Another really fascinating discovery I made when comparing multiple mats was the different thicknesses they came in. Some were as thin as Christmas wrapping paper and others more like a heavy printer paper. I incinerated quite a few mats (by accident) in my experiments and I made some very useful discoveries. When grill mats are too thin, they will burn through. We set up some heat sensing equipment on my barbecue and learned how the thickness of the mat will control how fast it absorbs heat, how much heat it absorbs and how quickly it releases the heat from the surface. With the ultra-thin BBQ grill mats, the heat is absorbed faster than it can be released and they can overheat and ignite the grease that might accumulate on their surface. The only advantage to the ultra thin mats is that they leave the most pronounced grill marks on the food and some people are big on the grill marks. Personally, I’m more in to how the food tastes and even when grilling without the mats I flip the meat often and avoid the grill marks – I like to achieve an evenly cooked surface on the meat. I found that the ideal thickness for my new grill mats was .25mm. It provides a very uniform cooking surface, and provides a durable and longer lasting cooking surface. I also found the thicker mats were much easier to clean than the ultra-thin ones that would leave grill marks. I put all that information together into creating my new Chef Caron BB Grill Mats, and (I’m not ashamed to say) they are the grill mats with the highest specifications of any available on the market today. And by the way, when you purchase them, be sure and follow my grill mat instructions. Check out the newest Grill Mat Design by Chef Caron, with added length (17 inches) and more PTFE for a slicker surface that is easier to use and easier to clean, better binding on the edges (eliminates fraying) and improved heat distribution from the ideal thickness (.25mm).